The local strawberries are everywhere; sweet and juicy. Pair them with fresh summer basil, right out of the garden, and you know I am always on the lookout for dishes where I can use burrata. A good quality olive oil, fresh ground pepper, and sea salt finish the dish. Place the burrata cheese in the middle of a serving bowl. In another bowl, toss strawberries with basil, a pinch of sugar, a pinch of salt, and fresh ground pepper. 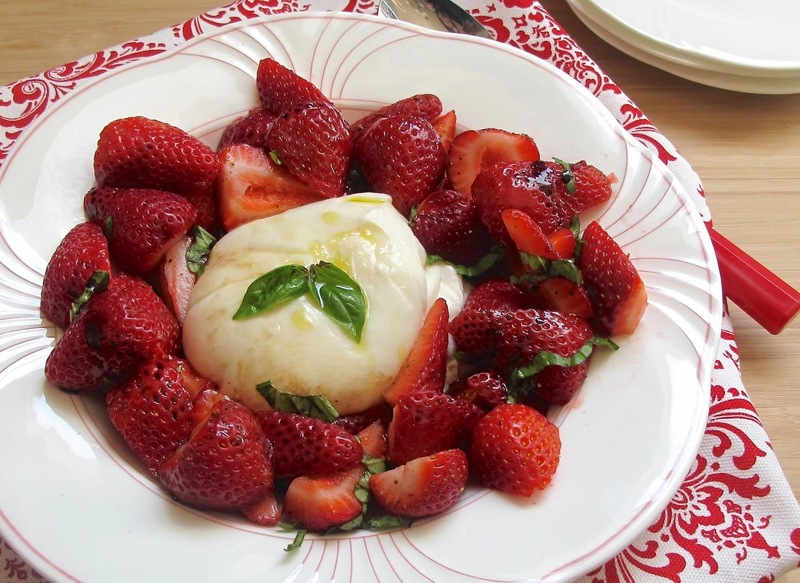 Spoon the strawberries around the burrata cheese. Drizzle with balsamic vinegar over the strawberries. Top with a drizzle of olive oil and sea salt over cheese.